With all this talk about FOMO (fear of missing out), there should be more talk about how people are missing out on living rich and fulfilled lives because they’re constantly staring at their phones. Our phones can hold a world of possibilities; they inform us, they help us to get things done and they reward us just for looking at them. While that's all well and good some people are so dependent on their phones that they have a hard time even going a few minutes without checking them and studies have shown that heavy technology users have a higher risk of sleep disturbances, depression and mental health issues. Technological devices aren't the problem but rather how people use them. It’s not about getting rid of your phone but using it in a way that is functional rather than dependent. Being able to take a technology break even for just a few hours can go a long way to refresh, refocus and reduce stress. Stress from excessive social media use is real since it often leads to social comparison. I always joke that I probably wouldn't be on social media at all of I didn't have a blog and I find my interest for it diminishes along with my interest in what other people are doing. While some people post genuinely helpful and interesting things, there are those who are just begging for attention with nothing but an endless stream of self promotion or selfies. Yeah no thanks. The only thing that makes me curious about is your level of self esteem and what you must be lacking in your real life. To improve the quality of my life, I adhere to a limited schedule for social media and unplug regularly from my computer and the phone. I usually cut off usage of electronic a few hours before bed every night (this is crucial for good sleep) and my phone is not the first thing I pick up in the morning. I also impose a social media ban during the weekends. Being offline is a priority and something which I feel like my brain and my body really benefit from. There is just so much visual and aural stimulus in the world now but meaningful visceral experiences are still the most satisfying and the true luxury. Do you make a point to unplug regularly? I make a point to unplug when I am around the kids, I don't want them to learn that it is the new normal being on the phone the whole time. Other than that I am unplugged from social media when I am at work, so my time there is pretty limited. My blog social media is mostly powered by scheduling apps, to be honest. I unplugged all the time I also cut down in blogging to take time for myself. 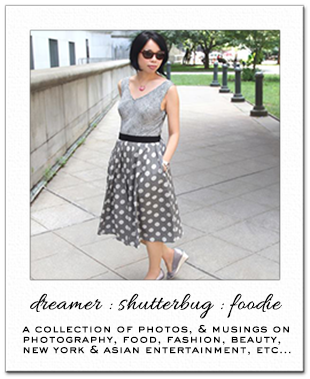 I blog now Monday and Friday unless I change for collaboration purposes. I noticed when I was in hospital with the flu how much time I spend on phone it was a rude awakening I just started two days see I want to see if it works for me. Great post good to put it out there. Morning Rowena! So so agree with you! Is a thought I totally share and I was just thinking of in the last days. Its truly sad and I'm very worried about things are going. Especially the young people, teens, are missing many things to stay online, is so no sense! I cut my online time as well and as you, if I didnt have a blog, I probably havent have any socials! When I was a teen I had a lot of FOMO. It continued into college. After I graduated, my FOMO practically went away. With the increase of social media, it started to come back, but I've been pretty good about not allowing that to happen. I always remove myself from social media on the weekends, and I've limited my time online (blog and social) a lot in the last couple of months. So much better. More time to spend watching movies, reading books, and going out to eat, lol. I do unplug. Whenever I'm around kids ( I don't have children of my own but I'm around kids a lot), I try not to use my phone at all because children learn by example and if they see adults spending all of their time surfing the web or checking their phone, that is what they will do as well. Reading is always my unplug time, that is why I love audio-books and real books. That way I'm not tempted to check on my phone. I admit that I have a hard time concentrating if I'm reading a book on my laptop, I'm always tempted to check my email, but if I read a regular book then it is much easier for me to forget about the phone. Blogging is my favourite social media and it always has been. I'm not very active on Instagram, and with this new algorithm that I don't like, I'm guessing that I'll probably be less and less active there. I have a twitter account but I don't use it, I'm still trying to figure out Pinterest, I don't have fb and I don't plan to open it. But I do love blogging and I always miss it when I have to be away from it for some reason. I'm glad you posted this Rowena! I try to disconnect a few hours before I go to bed. Sometimes it's good to disconnect from social media. I've been thinking about it recently, but I think this post has definitely made me think more about unplugging on the regular. Literally, checking my phone is the last thing I do before bed and the first thing I check int he morning. I would be awake for less than 30 seconds before opening my eyes just to reach for my phone, and it's really unhealthy. I plan on spending an hour reading, with all my devices far away from me, after finishing up this concept. 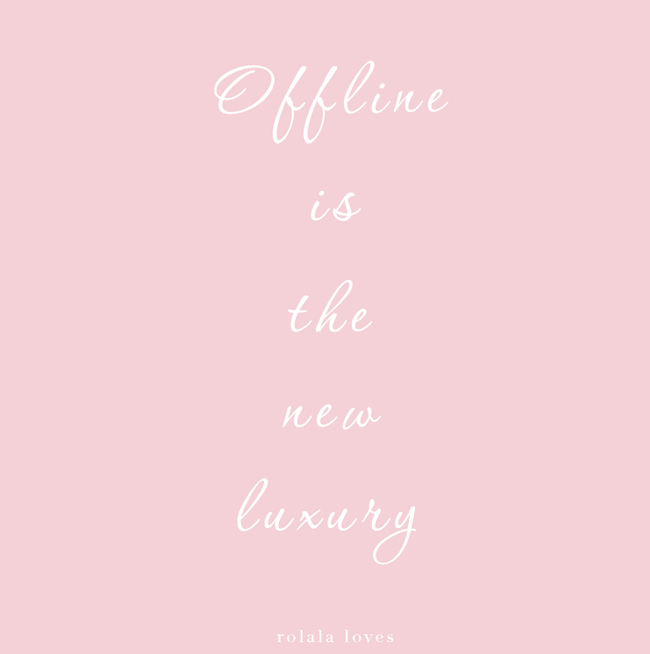 I think having time offline is definitely a luxury I think we all have the potential to reach, if only we put down the phone. Totally agree Rowena... 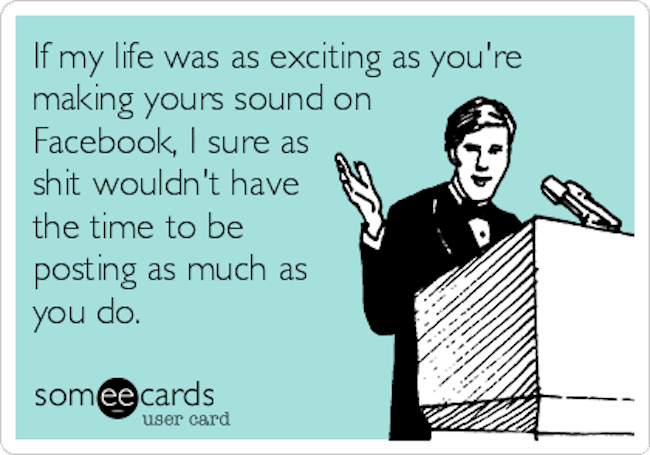 I'm sure: if I didn't have a blog, I didn't have any socials!!!! Yes, I do unplug more these days, no more chasing the numbers and I feel so much better about it. My boy is almost 4 and I don't want to miss precious moments with him. I find it good to take time away from social media - I'm more productive that way! A while back, after a technology detox over the weekend, I cut down my phone plan so I had less data and could only use it for essentials (like looking up directions/answering urgent emails I knew I'd be receiving). WHile I'm on a different phone plan with more data now, I do use my phone less. I'm not on it anywhere as much as I used to be, but that's mainly because I'm always with the boys. The phone comes out to snap a pic and then I tend to forget where I put it and it's forgotten about until I need it to take another picture, haha! I have cut back a lot! I'm on twitter a lot (I need to cut back on that LOL). I've totally neglected Instagram, but I think it's because I was seeing older posts and got frustrated. I think I read somewhere where they've fixed it. I don't respond to comments everyday. I haven't created a BALANCE. I need to work on that, but I've been very busy. Some people are just ALWAYS on social media. I really should do better with limiting my phone usage as I'm definitely on mine waaay too often. Usually I end up feeling burned out and have to take a mini break, so I do think it's better in the long to set a daily schedule. Thank you for the reminder! I just wrote about something similar-ish. We are far too consumed with the online world. FOMO is something that gives me anxiety on days I log into social media accounts like Instagram. Even though I know the grass is not greener, it's hard to feel good about yourself when you're stuck at work watching someone else gallivanting across the globe. I struggle with Insta. I took a major break from it over a year ago because the stress was too much and since then it's been hard to get back into a routine. I'm not upset by this. I like that I'm not constantly checking the app but I do feel guilt over not continuously supporting all the other amazing bloggers who are constantly supporting me. It's easy to get sucked back in and it's definitely not healthy. At least not for me right now. Time away is vital.